All Rise Spey Valley, Cairngorm, Scotland. 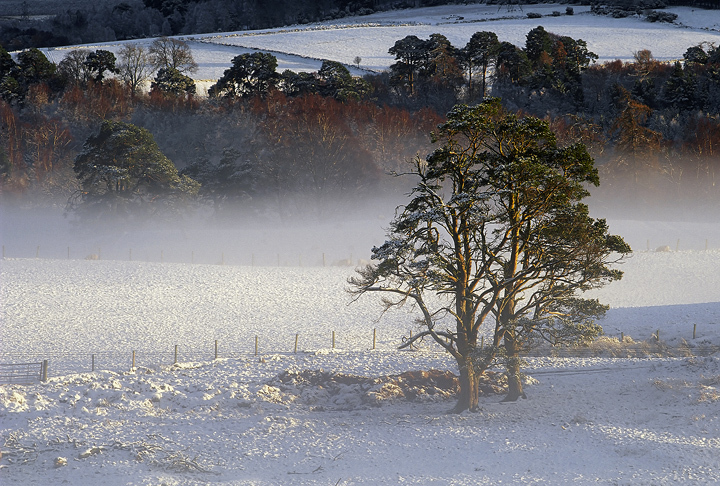 Mist always collects in the valleys around Grantown-On-Spey where the comparative heat of the river meets with the super low temperatures of a winter night condensation results and it hangs over the ground with just the trees poking through. First light quickly dissipates the mist and this was taken during that change over period.